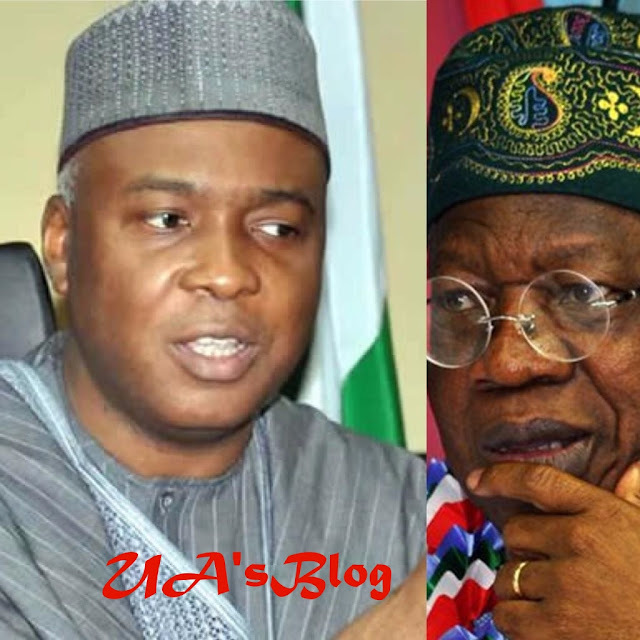 The Reformed All Progressives Congress (R-APC) has declared that Senate President, Bukola Saraki played a major role in ensuring that Minister of Information, Lai Mohammed, made the list of President Muhammadu Buhari’s ministers. R-APC said this while reacting to Mohammed’s demand that the Balogun Fulani-led Kwara APC executive committee be dissolved. This dissolution call was contained in a communique Mohammed issued in Oro, Kwara stated on Sunday. It read in part: “That the Balogun Fulani-led Kwara APC executive committee be immediately dissolved and a fresh congress that will include all Kwara APC members and those who are just coming into the party be held at the various levels to constitute a new executive. “That the recent gale of defections has now put the APC in a position of true majority in the National Assembly, as those who remain are the ones who are truly committed to the ideals of our great Party”. But R-APC lambasted Mohammed, wondering his capacity to such statement. Its spokesman, Kassim Afegbua told Vanguard that Mohammed should be the first to resign, claiming that Saraki cleared the way for his confirmation as Minister. He said, “Even though we know that Alhaji Lai Mohammed is one of those Kwarans in the diaspora, without any firm roots in the politics of Kwara, he banked on Senate President’s support and endorsement to be recommended for Honourable Minister. “He should be the first to quit the government as a beneficiary of Dr. Saraki’s political magnanimity.